"We were at our wits end trying to sell our house in a horrible market. We had just recently gone through another realtor, who hadn't put any effort into selling our house. Ram Sund took our house, and made it all his business to get it exposed and sold. He worked closely with us, and made sure we were on the same page every step of the way and great advice that inevitably got our house SOLD! I'm so happy with your services RAM, YOU ROCK! Sonia Rehal, PhD. Innovative Vascular Scientist focused on bench to bedside research October 20, 2017,"
" We have sold two properties with Ram Sund as our realtor - we had met him at an Open House he was conducting and his honest, straightforward, and friendly manner appealed to us. So when we were ready to sell our Calgary home in 2013, Ram was our guy. The house sold quickly, and the process was stress free. Recently, while living in White Rock, B.C., we decided to put our town home in Airdrie on the market. There was no question as to who we would use as our realtor - we called Ram. Again, even though we weren't in the same province, we were confident that we were in good hands and Ram was working hard for us. He kept us up-to-date on all matters regarding the townhouse and closing the deal was a breeze - with Ram's guidance as to the out-of-province process. 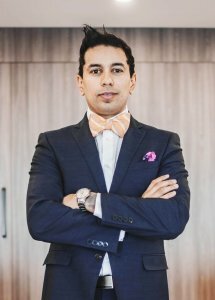 We would strongly encourage anyone looking for a realtor to consider Ram Sund. He is professional, knowledgeable, hard-working, yet has a friendly manner that puts you immediately at ease. "